Strange Brigade's campy theme feels like that of the 1930s style radio dramas like Magic Island. A strange mix of sci-fi and adventuring that feels part Indiana Jones and part Left 4 Dead. Game play is similar to most third person shooters, though you'll be gathering souls with your amulet when not aiming down the sights of your trusty weapon. 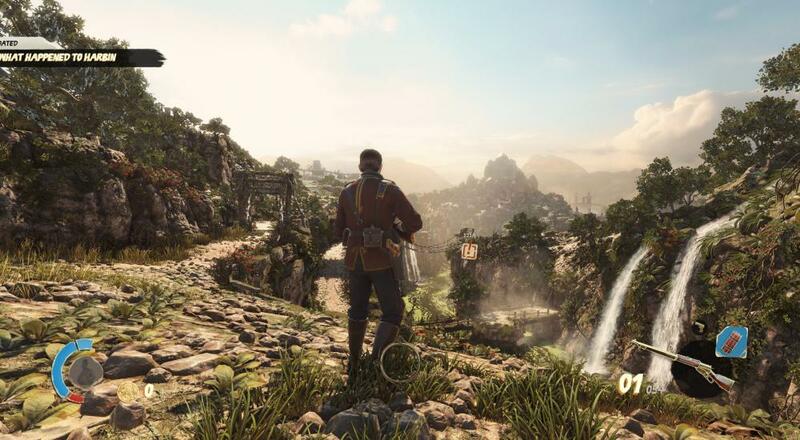 There's no cover system or platforming elements, but there are plenty of puzzles and environmental dangers that contribute to the game's missions. With Story, Horde and Score Attack there's a lot to do and see here. Also at play here in Strange Brigade is an unlockable and upgradeable weapon system that includes unique loot found during missions. This game simply feels jam packed with things to do. And it looks great to boot. Check out our video below and be on the lookout for our review next week when the game goes live. Page created in 0.5156 seconds.